Posted on 8 July 2012 and filed under Miscellaneous. 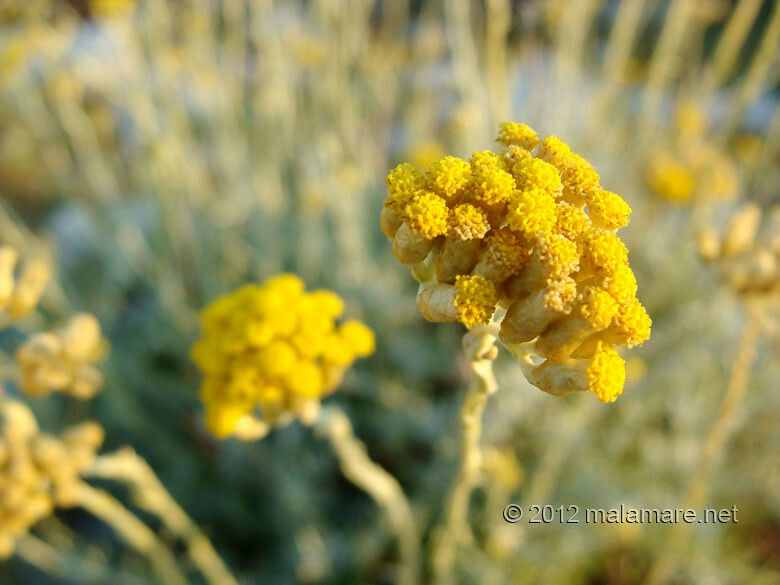 Immortelle, Helichrysum italicum, is one of Mediterranean medicinal herbs with the longest history of use. 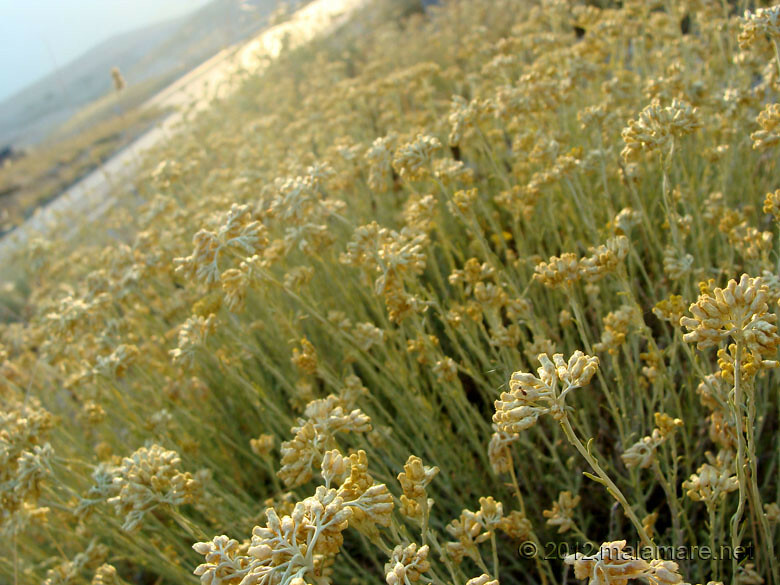 Immortelle essential oil is beneficial in many ways, from having calming effect on the mind to healing effect on the skin. 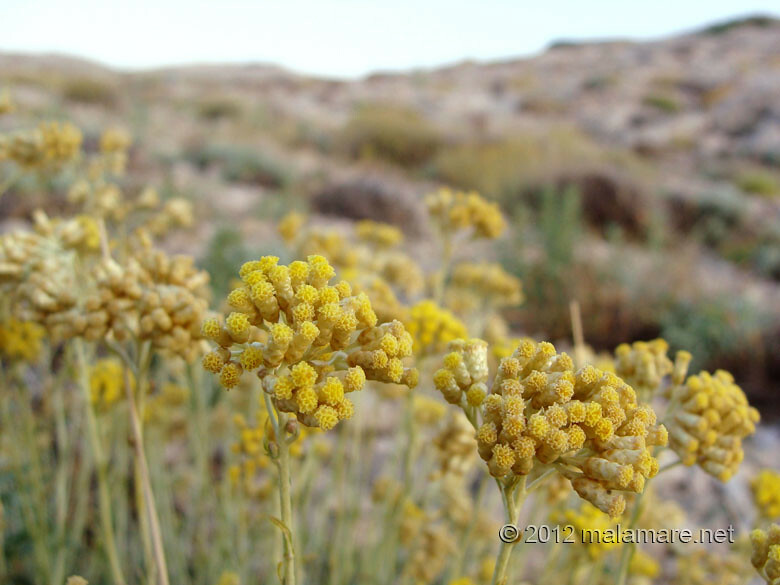 It takes several tons (yes, tons) of immortelle flowers to produce 10 ml of immortelle essential oil. 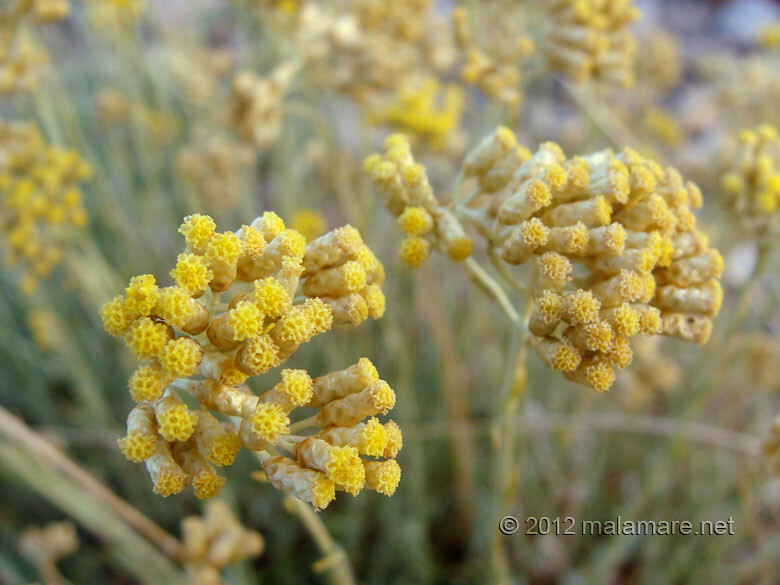 Apart from using the essential oil, you can enjoy immortelle effects by using macerated oil. 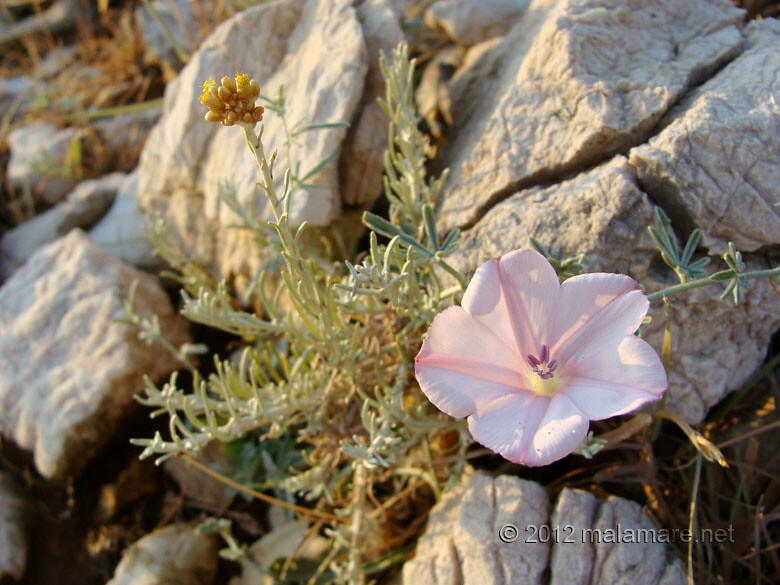 For macerated oil, flowers are soaked in base oil, i.e. 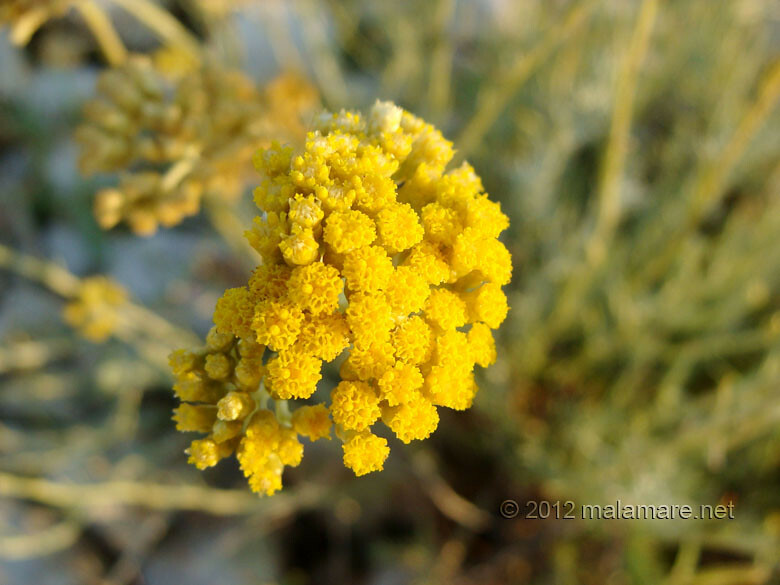 olive oil, and then left soaking for a month during which flowers transfer their magic to the oil. 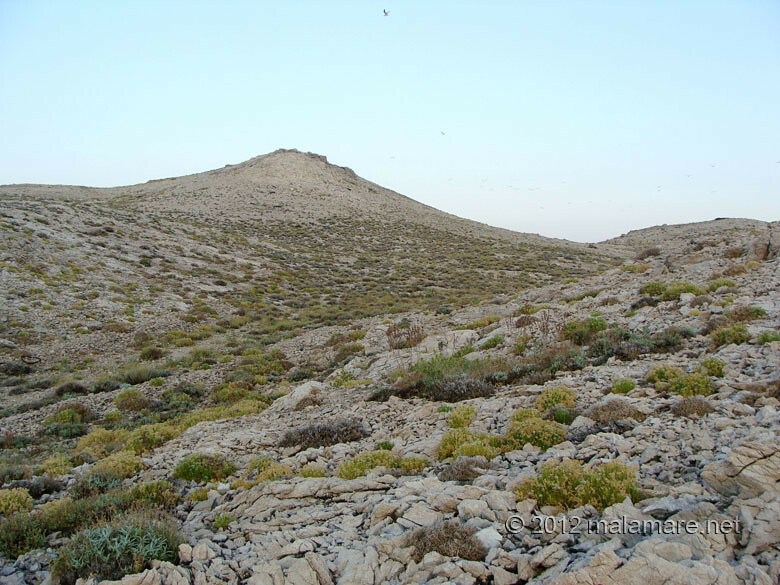 This is how our immortelle picking campaign looked like, yesterday morning at southern part of Rab island. 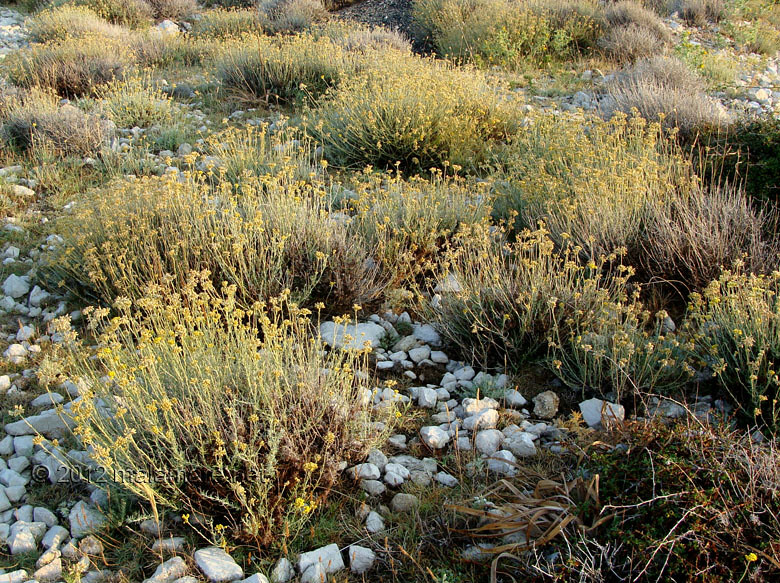 Immortelle has immediately after the campaign been soaked in olive oil, now we are going to wait for a month for our immortelle oil. Patiently. And then sun started to rise and gently touch everything, waking up intensity in all the colours around us. Sjajno! Javim joj se i hitam k Plaži čim se ukaže prilika! bilo je toga i vise u proslosti, nazalost nesto restorana se zatvorilo (vjerojatno si cula za restoran Kordic)..hvala, hvala…kak ide biznis? 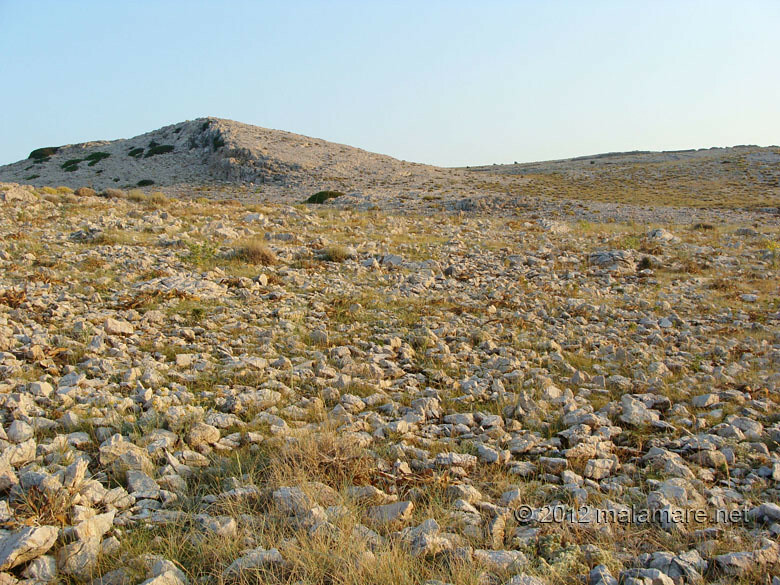 To bumo vidjeli – od sutra! :) Drži fige!